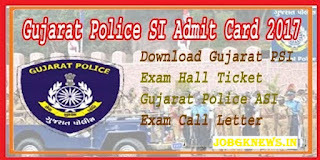 Aspirants Are Now in search of Study Material For Police Inspector Job. jobgknews.in is one of the best Platform for any Competitive exams Preparations. We daily provide current affairs, GK And All important material for any Job Related Exams. Gujarat Public Service Commission Has Issued Call Letters for Upcoming Police Inspector Exam 2017. Candidates can download their Call Letters by Submitting their Confirmation number and Birth Date on official website of OJAS. GPSC Police Inspector Exam 2017 Call Lettres.